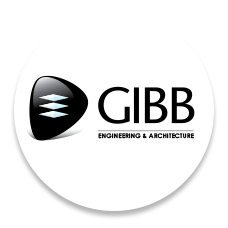 Muzi Siyaya is the Group Business Development Executive at GIBB Engineering and Architecture. 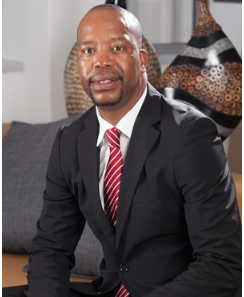 WHILE some policies are rightfully placed to develop Small Medium and Micro Enterprises (SMMEs) in South Africa, further consideration needs to be given to the development of large black-owned companies to ensure they can compete globally, undertake large complex projects and export their services and products to other global markets. The revised Preferential Procurement Regulations 2017, an amendment to the Preferential Procurement Policy Framework Act, Act Number 5 of 2000 (PPPFA) which came into effect in January 2017, requires that 30% of government contracts are to be set aside to empower certain categories (Small Medium and Micro Enterprises (SMME) also classified as EMEs or QSEs, Co-operatives, Township and Rural enterprises) through procurement. This is a welcome addition to the procurement regulatory environment which will go a long way towards promoting socio economic transformation and accelerating inclusive growth. However, what is missing from this legislation is a long-term strategy to create Large Black-Owned Enterprises (LBOEs). A Black Owned Enterprise (BOE) in this context refers to a “black-owned enterprise” with at least 50.1% South African black ownership and/or more than 50.1% management control by South African black people. Ownership refers to economic interest while management refers to the membership of any board or similar governing body of the enterprise. A large “black enterprise” therefore is one that complies with the definition of a BOE and has an annual turnover (revenue) and asset value of more than R35m and is at least 50.1% black owned. As it currently stands, South Africa’s economy continues to be dominated by large, established companies, mostly white or foreign owned. While there are pockets of excellence of large black-owned companies across various sectors such as construction, engineering, legal and auditing, these companies are not being supported to become conglomerates. There is a need to critically examine the role of the larger black-owned enterprises in the economy from a policy support perspective, with a view to develop BOEs that can eventually export services and products to other parts of the globe. The existing policy framework has no continuum and simply does not address the needs of LBOEs. Ultimately, large black-owned companies find themselves in the middle of established large, mostly foreign or white-owned businesses on the one hand and SMMEs on the other. Often, most LBOEs have neither the balance sheet nor the economies of scale to aggressively compete with their established business counterparts for large and/or complex public or private sector procurement opportunities. On the other hand, they are not small enough to benefit from the regulations that seek to act as a mechanism to empower certain categories (Small Medium and Micro Enterprises (SMMEs), also classified as EMEs or QSEs and other designated groups. At this point, let me clarify that I unequivocally support all policy initiatives that are designed to develop and grow SMMEs, as they are core to the economy and create much-needed jobs. Notwithstanding this righteous policy support for SMMEs, on the face of it, the recent policy interventions appear to focus exclusively on SMMEs, and not the growing of black-owned companies, in general. This policy stance has the unintended consequence of black-owned companies preferring to remain within the benefits thresholds. For example, growing above R50m is deemed punitive because the benefits flowing from procurement legislation and black ownership are practically non-existent above that turnover threshold. In the main, the procurement policies and legislation that currently exist unintentionally restrict the ambitions of black-owned businesses to remain small. We should aspire for more – we should aspire to develop multi-billion-rand black-owned companies alongside our efforts to develop SMMEs. The requirement for minimum black participation on government tenders should be applied to all sizes of black-owned companies and not just SMMEs and EME’s to ensure growth of black-owned companies in general regardless of size. Where possible, framework agreements or procurement panels should be developed to ensure targeted procurement. This will benefit both SMMEs and BOEs through identifying opportunities within the procurement value chain that are suitable for growing large black-owned businesses but also for progressively growing SMMEs to become large companies. Presently, state organs have a once-off approach to procurement and therefore diminish the opportunity to develop selected SMMEs or BOEs into large companies. Procurement strategies within state organs must consider market characteristics in a sector(s) instead of a “one-sized fits all” approach. For example, the market structure in the engineering industry is different to that of the property industry. Therefore, supply chain officials in both in the public sector must spend sufficient time to understand the entire value chain of a particular sector including analysing the concentration of power, the capability, the capacity and the key players. This will help to guide state organs on how best to leverage the state’s buying power in order to change the market structure of a specific sector if necessary by, for example, introducing new players and developing local capability and capacity of significant scale. Procurement legislation and strategies within state organs must encourage competition while driving socio-economic objectives. While the emphasis should be on transforming various sectors to be inclusive, the issue of quality and creating globally competitive black-owned and or South African companies that can export skill, services or products to the rest of continent must remain imperative in a globalised economy. The state must utilise South African bilateral trade agreements to promote BOEs and South African companies in general, with the aim of ensuring the participation of local companies in any state sponsored project beyond our borders. This should be an inherent part of the country’s foreign policy, similar to what China and most developed countries do. This could be achieved through imposing South African content whenever a South African concessional loan, grant or any form of financial aid is used for developing projects in another country. Upon achieving “large enterprise status”, BOEs must assume a leadership role in transforming our society in consonance with the Zulu proverb of Umuntu Ngu Muntu Ngabantu: “a person is a person through other persons.” BOEs must also be obliged to create employment opportunities for previously disadvantaged individuals, offer educational bursaries, aggressively invest in skills development and contribute meaningfully to the communities in which they operate. In other words, being black-owned must not exempt BOEs from social commitments.